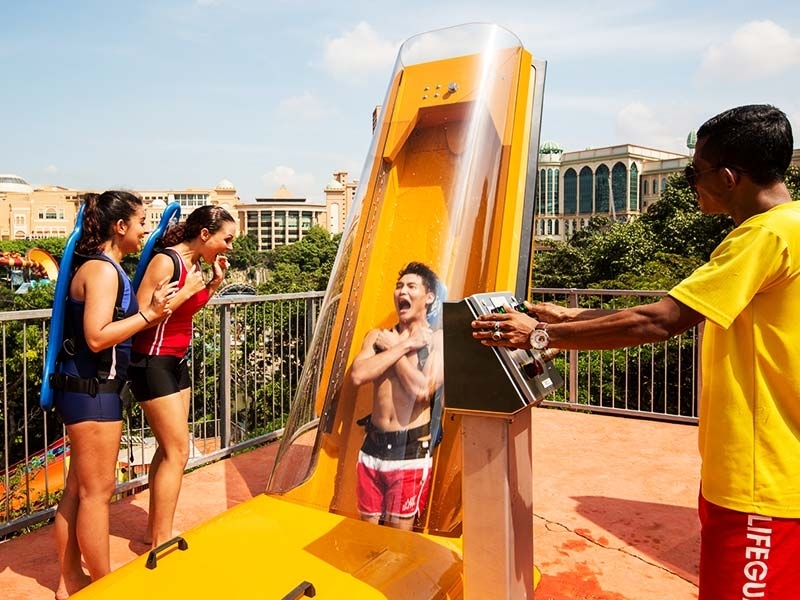 Get those passports ready because there is a NEW Water Park at Sunway Lagoon near Kuala Lumpur! And even better if the kids are fans of Nickelodeon's SpongeBob SquarePants, Dora the Explorer, and Teenage Mutant Ninja Turtles... as Nickelodeon Lost Lagoon is the first Nickelodeon themed attraction in Asia! 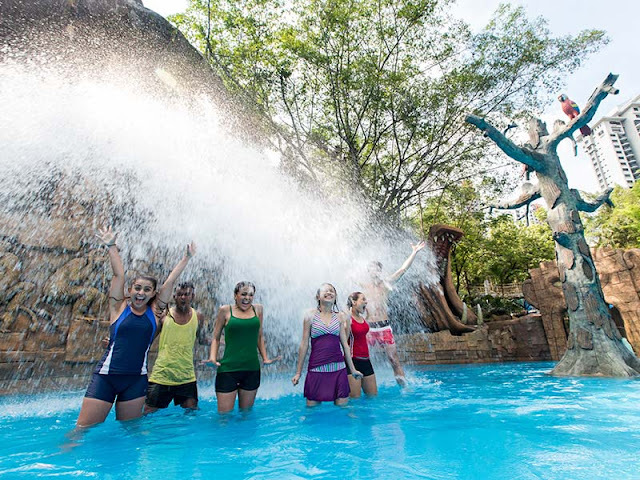 A wet and exciting adventure awaits families as the fantasyland is filled with colossal water rides and water playgrounds, canopy walks and meandering pathways, beautiful waterfalls and recreational camp sites. 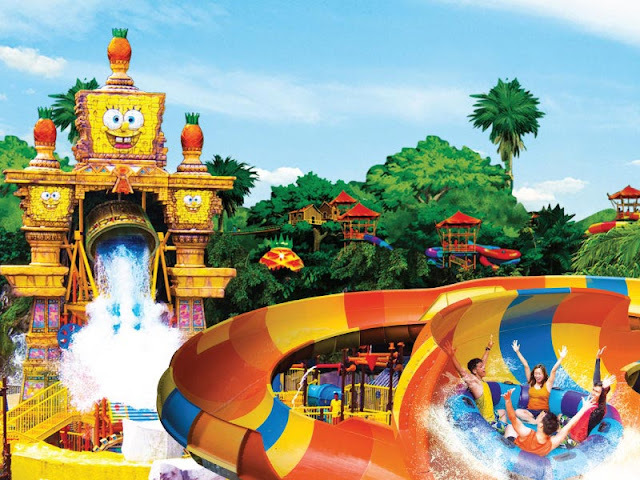 Set amidst 10 acres of lush tropical rainforest and boasting 14 immersive attractions, Nickelodeon Lost Lagoon promises to be an explorer’s dream right from the start. Climbing “ancient temple” steps, explorers will pass pineapple columns and intricate carvings leading all the way up to a magnificent SpongeBob SquarePants structure. 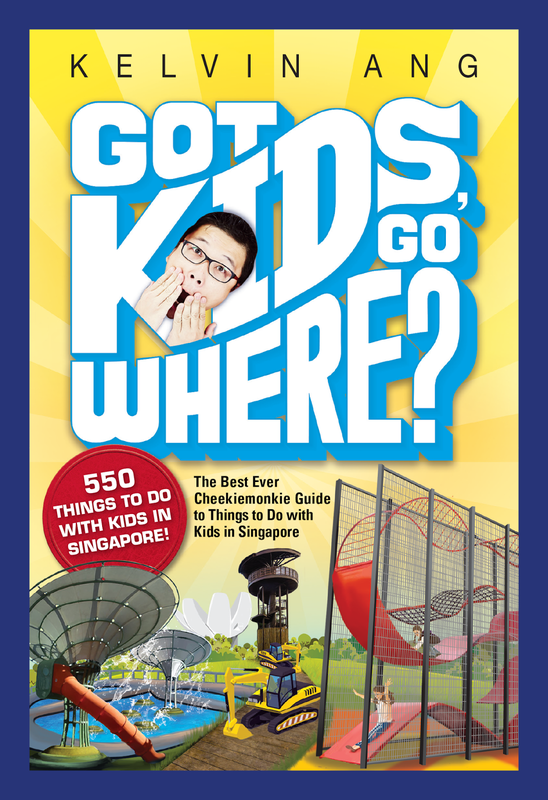 The adventure continues with geysers, sprouting water cannons, walks along cascading falls, and gooey moments with the signature green slime. 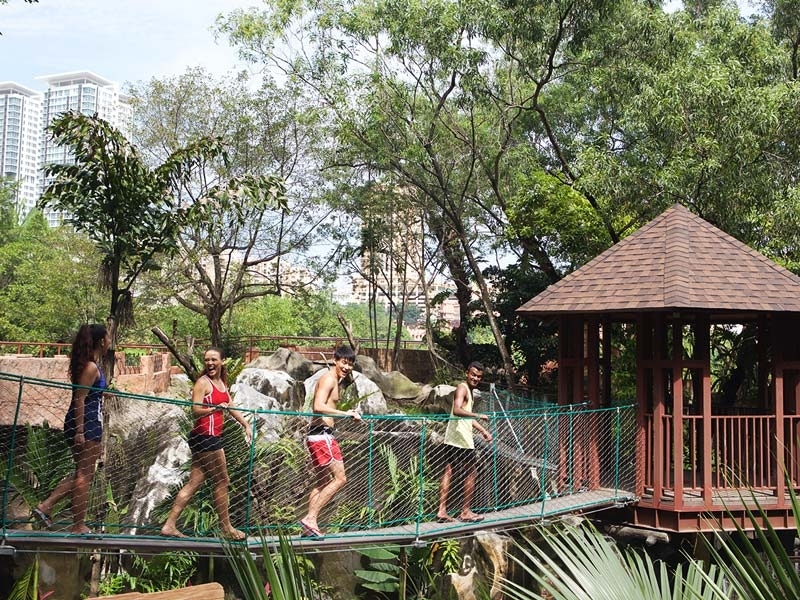 Running deeper into the forest are suspended bridges over rivers, more thrilling wet and wild activities as well as gravity defying rides that twist around trees and hills. Found among the ruins of the long lost civilization, evokes hours of non-stop family entertainment. Experience geysers, water canons, waterfalls, slide down and play catch with SpongeBob and the Bikini Bottom Gang! Get ready for the rise of a Slime Time - happening at 4pm everyday when green water pours down instead of normal water! The JUNGLE FURY will take you on a over-the-edge ride with your family and friends, experience surprise drops, twisting turns and ending with a wholesome family fun! Experience the KUBARANGO where you will be unleashed into a steep drop before it takes you up on a near vertical experience for a moment of weightlessness and backwards into a reversed free-fall before returning you with a splash! 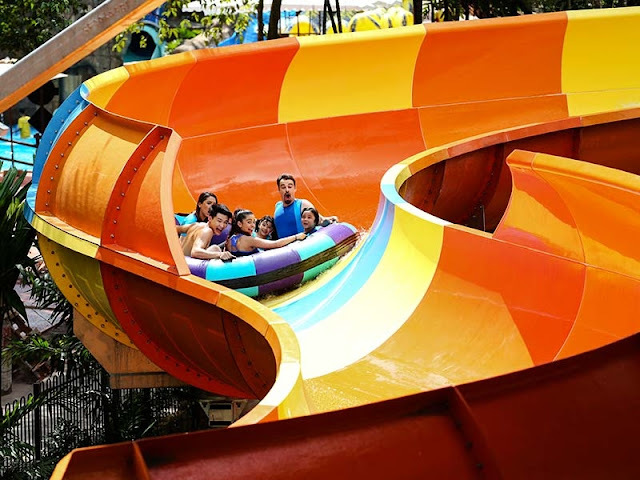 The PRIMEVAL is set to take you on a journey of our Lost Lagoon with exciting twists, turns and drops that climbs over trees, hills and into the gullies to experience nature at its best. The 3 unique ride experiences of COBRA CREEK, BOA CONSTRICTOR & CROCODILE GULLY can be enjoyed by all ages. Get ready for the MONSOON 360 countdown, 3!..2!..1!, facing forward, arms crossed, wait in anticipation for the trap door to open below you that will take on a journey into an intense vertical free fall. Challenge each other to a thrilling race reaching speeds of up to 60 kph or 0-2.5 g in under 2 seconds that will leave you breathless. 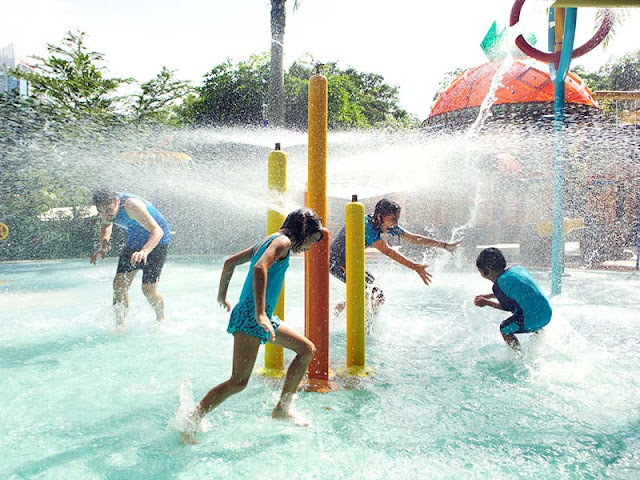 Splish Splash lets you cool off with multiple water features that combines to create interactive water spray experience. 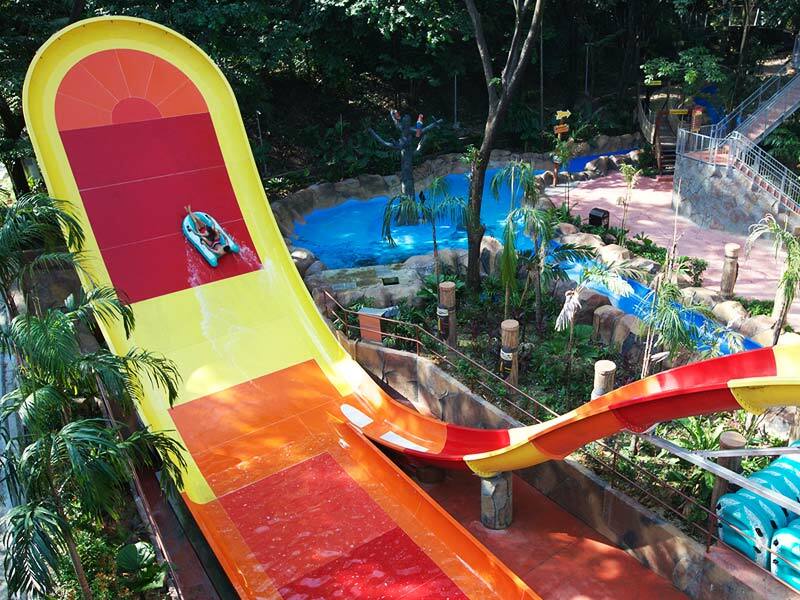 The bright colors and the various water effects such as jets, falls, forts and more will appeal to kids of ages! 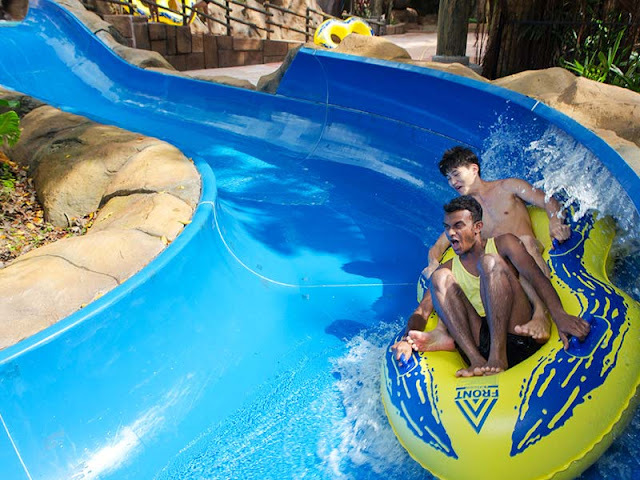 Take a breather and cruise down the MOOLALAH ADVENTURE RIVER. It’s an easy breezy ride to take in the sights and sounds of the Lost Lagoon while experiencing its swirling, splashing waters. The HIPPO VALLEY is where all rivers flow into a busy waterway where tribes meet to catch a drink and laze until sunset. Watch Hippos swim on the banks and monkeys swinging from trees to trees. Catch the ‘Whopping Splash’ coming your way while you enjoy the serenity of the rainforest. Take the EXPLORERS’ TRAIL and join the trail of the tribesman up on the trees and hear the birds chirp. Enjoy the breathtaking view of the MariMari Rapids, waterfalls, mystical ponds, gullies and hills. Of course, visitors will be able to meet and greet their favourite Nickelodeon characters as well! 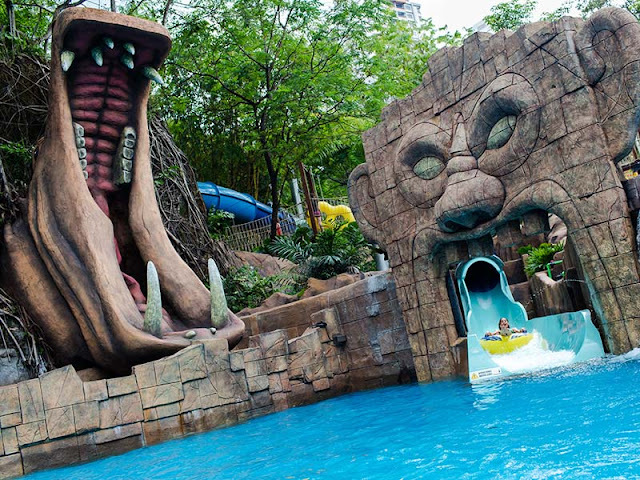 From the looks of it, Nickelodeon Lost Lagoon is definitely an attraction suitable for all ages. For now, the school holidays cannot come soon enough for the monkies!